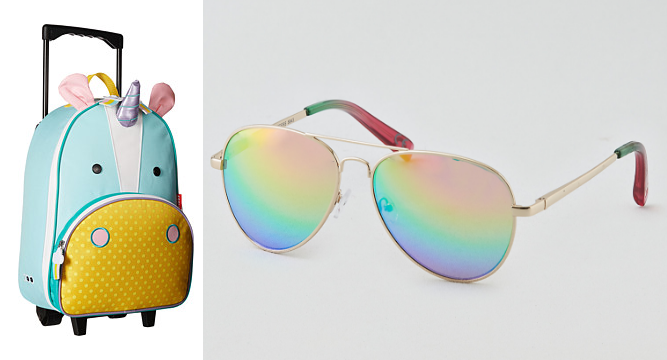 Travel in style, unicorn style, with this standout carry-on and some rainbow-colored glasses sure to outdo any rose-colored versions. 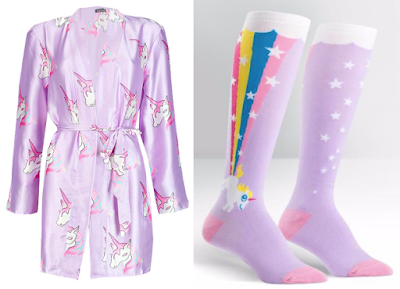 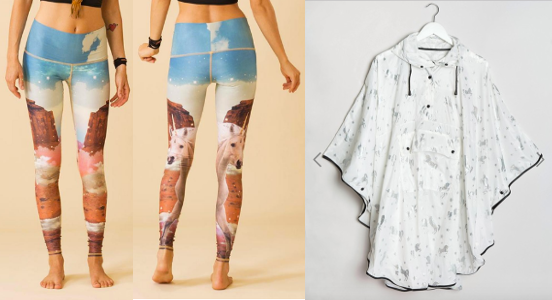 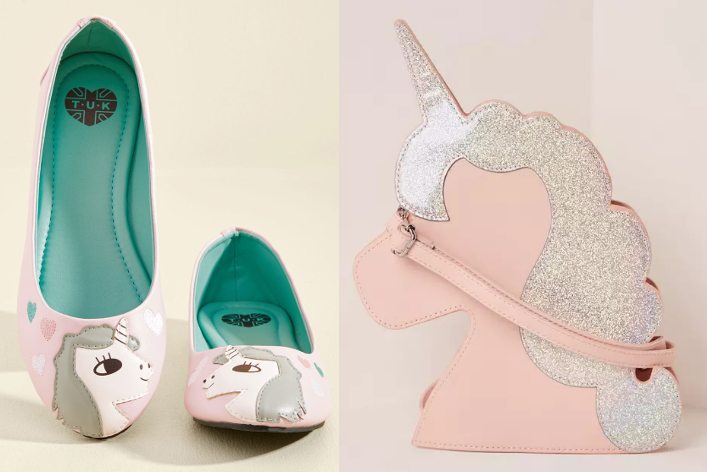 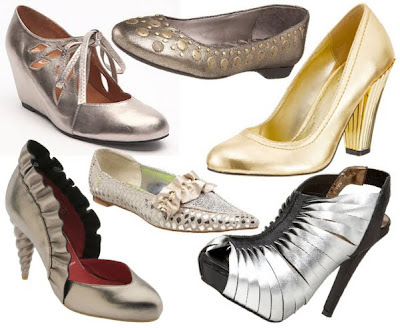 These unicorn shoes are make for trotting, and this lip gloss set is the perfect gift for anyone looking to gloss over life's little problems with a bit of magic (the bag can double as a little clutch). 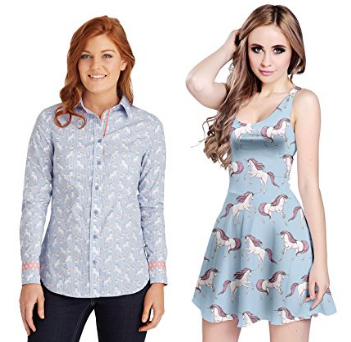 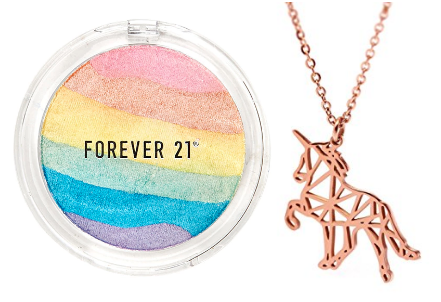 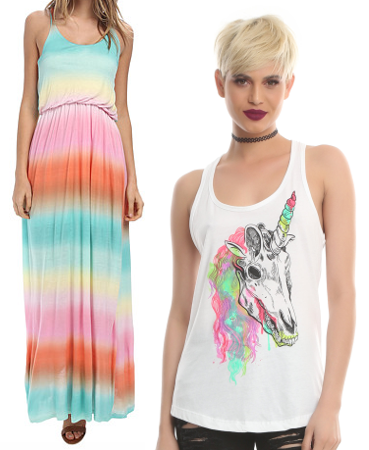 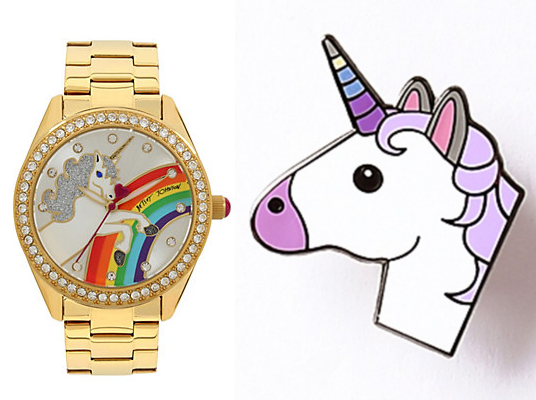 Watch the clock unicorn style or add a bit of unicorn magic to any look with a simple pin.